It's National Macaroon Day - Have a Macaroon Martini! Most of us are familiar with the shredded coconut macaroon but the very first macaroons were actually almond meringue cookies. It's said these original macaroons were created in an Italian monastery and modeled after a monk's belly button! 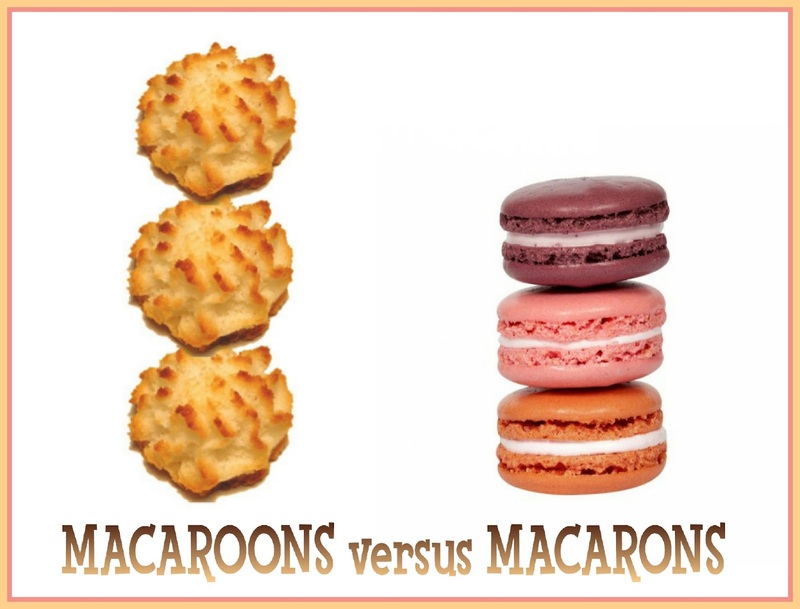 In France "Les Macarons" are generally meringue type cookies and you will find them all over French bakeries (patisseries) in a sandwich form filled with chocolate ganache or jams and buttercreams. This sandwich macaroon was invented by Pierre Desfontaines Laduree, Thanks to Laduree, today you can find these meringue macaroon sandwiches in a variety of flavors and beautiful colors in every corner of France. 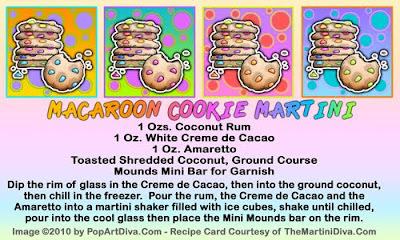 Laduree's original "macaron" sandwiches were filled with chocolate ganache which is why I included the White Creme de Cacao in my Macaroon martini recipe. The coconut macaroon we are most familiar with is probably a recipe brought over by Jewish immigrants who adopted the cookie because it requires no flour or leavening which means it could be enjoyed during Passover. This is also most likely when coconut started being added and even completely substituting for the ground almond. 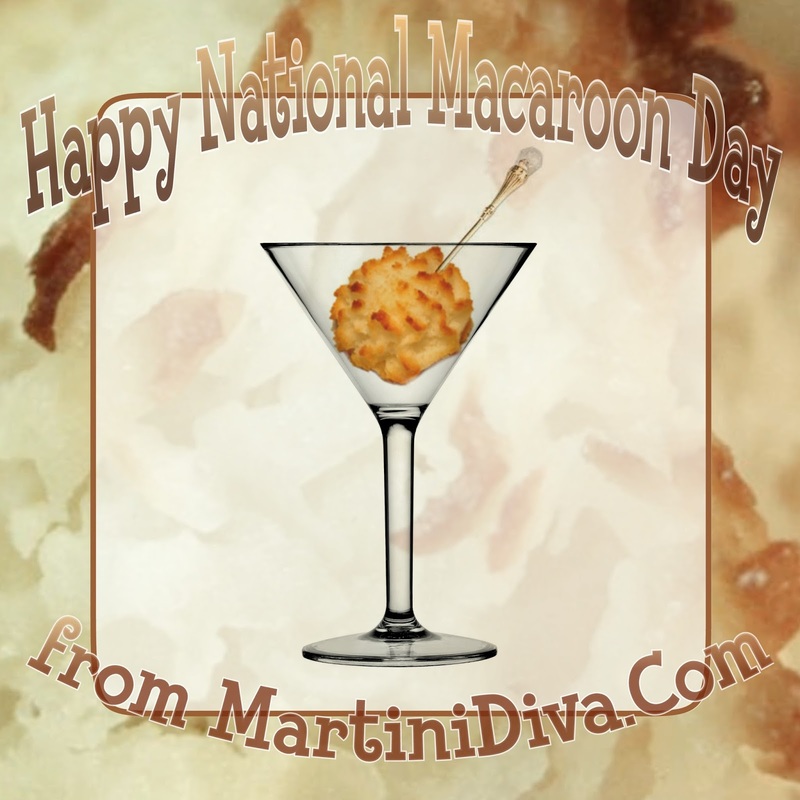 Whether you prefer the coconut macaroon or the more meringue like confection, you will certainly enjoy my Macaroon Cookie Martini - and be sure to serve it up with a plate of macaroons!